True story: I was a pirate. I didn’t dress up in some fancy costume: I didn’t throw out “Argh” and “matey!” and other pirate words. I never forced someone to walk the gang plank, nor did I bury any treasure. I did, however, drink my share of rum: my clothes were ripped, torn, slightly dirty; showers were NOT daily, and I was probably slightly smelly. I wore an eye patch and a sword (it was plastic); and I had a pirate name (which, due to its nature, shall remain unnamed). It was summer of 1996 and I was 21, taking a summer and semester off of school, escaping from a full college schedule and a job at a local TV station as the morning show producer. I was running, from some vague feeling of restlessness. 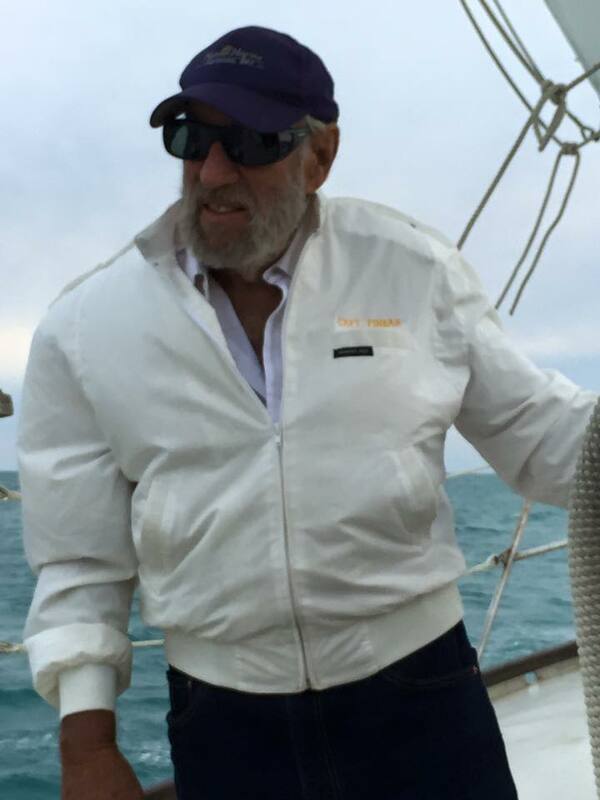 Within a week of my arrival in Key West, I had managed to talk my way aboard The Topsail Schooner Wolf, a 74-foot, top sail, gaff-rigged schooner that ran tourists out for sunset sails off the shore of the keys. 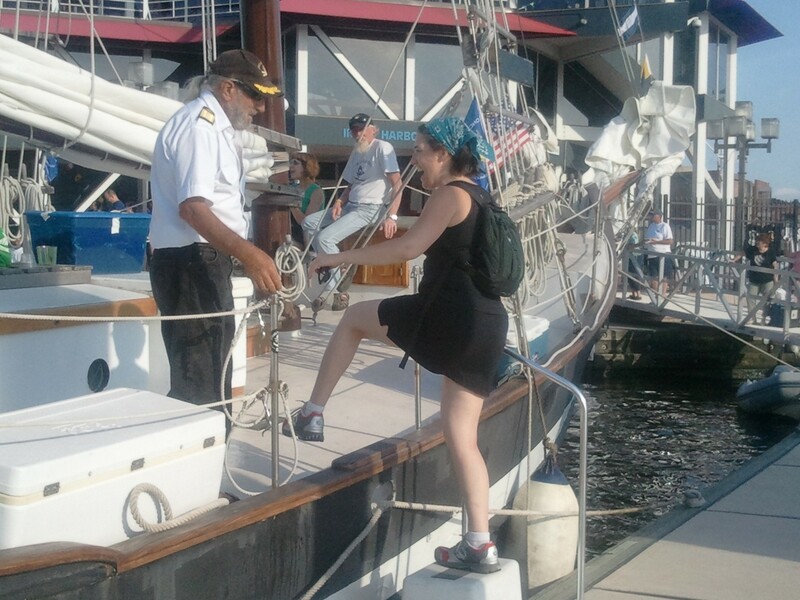 I was one of five of an all-woman crew aboard the ship, and we spent our evenings ushering tourists into the green, sea-foam waters becalmed by the oppressive windless summers that mark the summer months in the keys. We’d motor around for two hours, encouraging our guests to raise the sails and serving them cheap beer and wine. On the weekends, we’d dress up in rag-tag costumes sourced from the local Goodwill store, and we’d spin tales of knife-wielding passengers (true story), violent squalls and yearly water and food fights at sea against the US Coast Guard (also a true story). At the end of my six months there, I’d learned to sail and I learned that adventure lay wherever you put it. I learned that just because it looked and felt like paradise, that didn’t make it so: that the possibility of adventure lay wherever you were willing to put it. 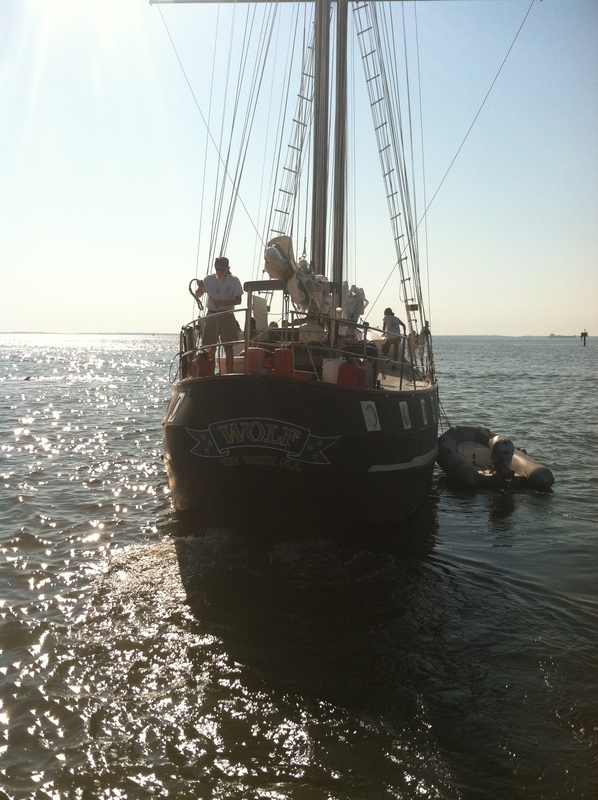 With time, I stopped mentioning the pirate part of my time aboard The Wolf. And with another decade, I’d nearly stopped mentioning my time in Key West at all, unless I was relating my story about getting the Bends (decompression sickness) while diving off the Bahamas to a fellow diver or sharing some insight on Key West. But for me the chapter had closed, and I had moved on with my typical East-Coast lifestyle. And then, in 2012, the Wolf came back into my life. Cowboy is all frenetic energy, ideas and stories. He is Thai-Vietnamese-American. Or Thai-Hawaiian. Or Vietnamese-Canadian-American. It’s hard to get a straight answer. He has been married, maybe a few times, has a few kids, loves Virginia Tech and Pho soup. He has run a business, is an expert cameraman and has been homeless. He is, technically, homeless now, save for a small bunk on the Wolf crammed full of him. He believes in angels and luck. His real name is Cao Boi, and no he does not have another last name. He is always talking, thinking, moving to the next thought, and talking. And he is gladly at the beck and call of Captain Finbar and the rest of the crew as cook, mate, galley wench, hop-to, instigator and mediator, and pirate on the Wolf. I know all of this in our five-minute walk to the local 7-Eleven where we are getting ice. I have to think about that one, pause in its telling. “Well. I was married. Technically I still am, I guess.” In Maryland, you have to be separated for a year before you can even file the paperwork for a divorce. “It was a rough marriage, and even rougher separation. But it is getting better,” I tell him. I am only slightly uncomfortable with the telling: This is the first time I’ve really been able to succinctly sum up my current life, the first time I have told a stranger my story. It feels surreal, but it makes it final and real. 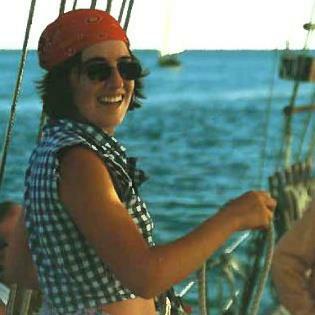 “I sailed on the Wolf for six months when I ran away to Key West from school and work. You know, for a break. I found the Wolf the first day I was in Key West and I said, ‘I want to learn to sail, and I want to sail on her,’” I tell him. 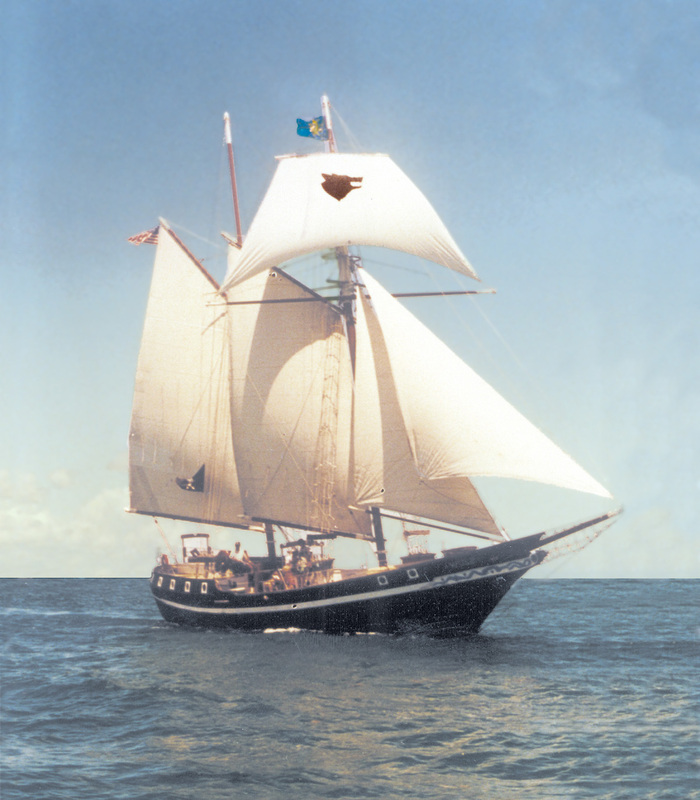 We sail her that day from Baltimore to Annapolis, where we exchange the “Conch Republic ” flag with the “Maritime Republic of Eastport” in a ceremony full of the nature of two pieces of the US that have jokingly seceded from their homelands — Key West from the United States, and Eastport from Annapolis. I spend three days with the Wolf and her crew, Captain Finbar and his pirate wife Julie, and at the end of it return back to my single family home in the burbs of Baltimore, while the crew journeys on their coastal tour of the US. 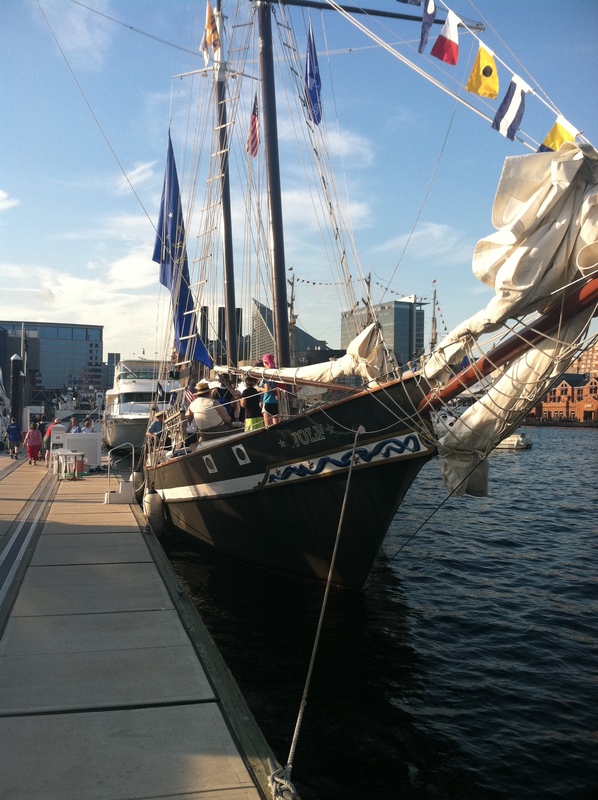 Later, after I see her and her crew off the docks of Annapolis, I am talking to my friend Karen. She knew I sailed on a “pirate ship” in Key West, saw the photo of the Wolf hanging on the wall in my office. She’d heard the stories, knew my journey there and back. But she hadn’t seen me on The Wolf, hadn’t realized the depth of her reach into my being. “The Wolf came in and saved you when you lived in Key West,” she says. “And she’s come back to save you again.” Until she said it so succinctly, I hadn’t realized that’s exactly what my time aboard her was doing this time, too. We love pirates: something about the romanticism of the freedom that comes from being a pirate, the imagined carefree attitude to do what you want, when you want, beckons our internal sense of adventure. The rag-a-tag nature of pirates, the devil-may-care approach to life seems to answer the internal siren call of living life for life’s sake. It calls to us in the midst of how we really live it — get up, fight traffic, go to work, go home, do some errands, take care of all the stuff around the house and in our life. The life of a pirate, with few earthly possessions and calling a 6-by-4 foot berth and wherever it may be in port, “home” renews in us the right sense that there is, indeed, a life out there most of us are just not living — at least not the way we want. In all the studies of what makes people happy – truly happy, fulfilled, experiencing life in a positive manner no matter age or life circumstances — “stuff” does not make the list. Instead, new indications are that overall balance and harmony with the environment and with the individual’s sense of place in the world creates more happiness than any single indicator of wealth or power. Just ask the Kingdom of Bhutan in the Himilayas, which measure GDH (Gross Domestic Happiness) instead of GDP. New measures social scientists are using point to factors like access to health care, free time with family, natural resource conservation, a sense of giving back and other “soft measures” as being more indicative with overall happiness. (Want to read more? I recommend, “A New Measure of Well-Being From a Happy Little Kingdom“). The documentary Happy sums it up succinctly: spend an hour and watch it to walk away feeling….. well, Happy. So maybe it’s not the swash buckling tales of pirates that have us so enraptured, as much as it is a sense that pirates, surely, must have had free time to explore and do the things that filled their soul. 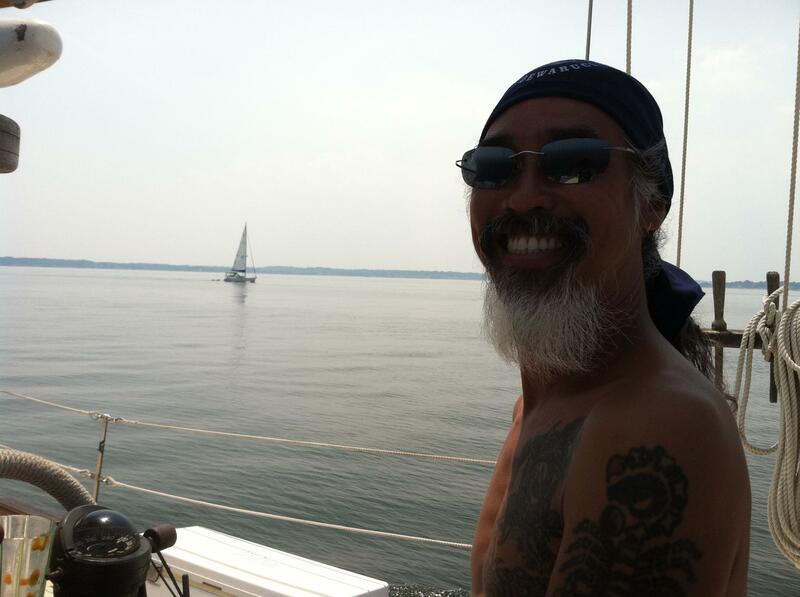 After The Wolf left that summer in 2012, I embarked on my own land-loving adventure to rediscover what happiness really means — to re-capture those pieces of myself and my lifestyle back in my pirate days that had made me feel so at peace with the world and the ocean. I don’t know if I am there yet. But today I can say that almost every day, I live just a little piece of the Pirate’s Life. Anonymity isn’t possible on Key West. It’s too small an island (2 by 4 miles for anyone tracking), the houses are too close, the people too known. Like the Midwest small town of the idolized 50s, everyone knows someone who knows you, and word travels fast. So there’s no road rage, no honking. People walk around with their heads up, rather than staring at the magical devices in their hands – unless it’s the tourists, using their map application to get three blocks up the road or posting their bragging-rights pictures from vacation. People leave their doors unlocked. When they are not home. For large stretches of time. And nothing disappears from them. About the only things that get stolen are bikes that aren’t locked up – more a crime of opportunity than of real piracy. Looting — itinerant, transient, homeless style. Rush hour is non-existent – at least in the morning. Cars stack up all of 8 deep before the light changes, and everyone gets through. I have been too long in the city and as I walk past the workmen speaking Spanish and picking up their morning conleche (espresso style coffee with steamed milk and sugar so heavy it makes your mouth pucker), this strikes me as magical: a morning commute of ease. As the day wears on, traffic picks up, until by 3 pm it’s a steady stream of cars on all the major roads. But still, everyone makes the light. The sun shines down a majority of the days, turning the waters that surround the island alternating shades of aquamarine and pearled blue, depending on whether it’s a sand bottom or a grass bed underneath. Aside from the summer days when the ocean breeze fails to blow, it’s pretty much always warm. And even the cold days aren’t really all that cold – though they would be more tolerable if any of the houses had heaters. They don’t, aside from the odd, shared space heater. It is a paradise. And yet, insanity clings to the edges of this island, where chickens have some of the best ocean views, and no one expects eggs from them. 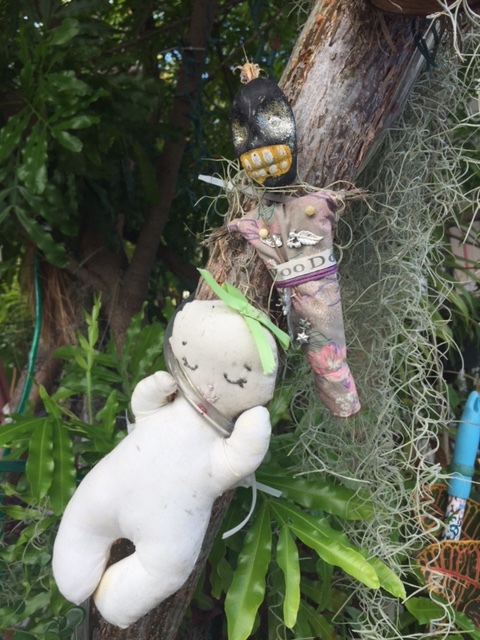 Christmas lights decorating the small shacks in Bahama Village (a villa within Key West’s Old Towne that was historically the gathering place of immigrant Bahamians) include Voodoo dolls – and they are not fake. 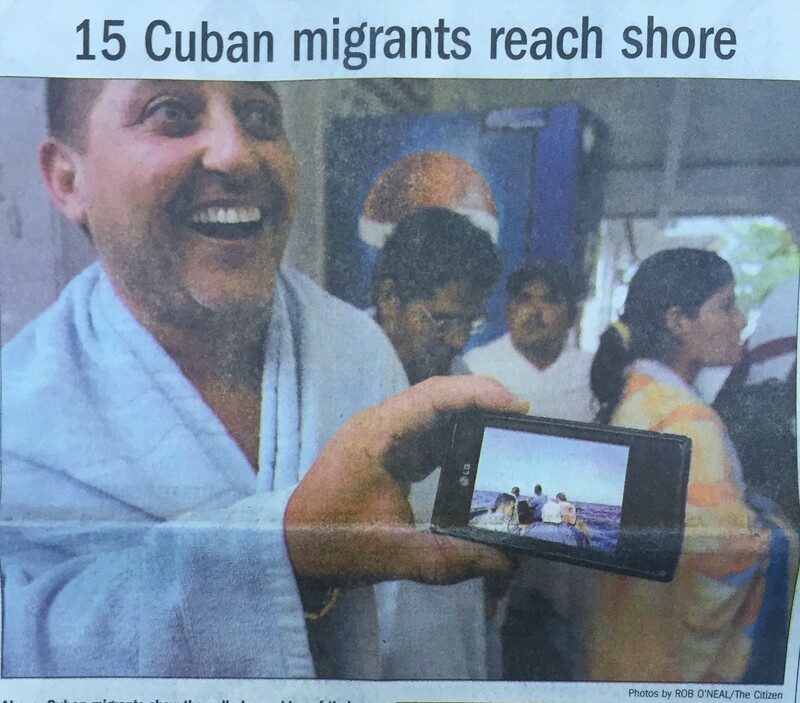 Cuban migrants still land on the shores of the island, unbidden but welcomed as brethren from the edge of the world. Insanity. 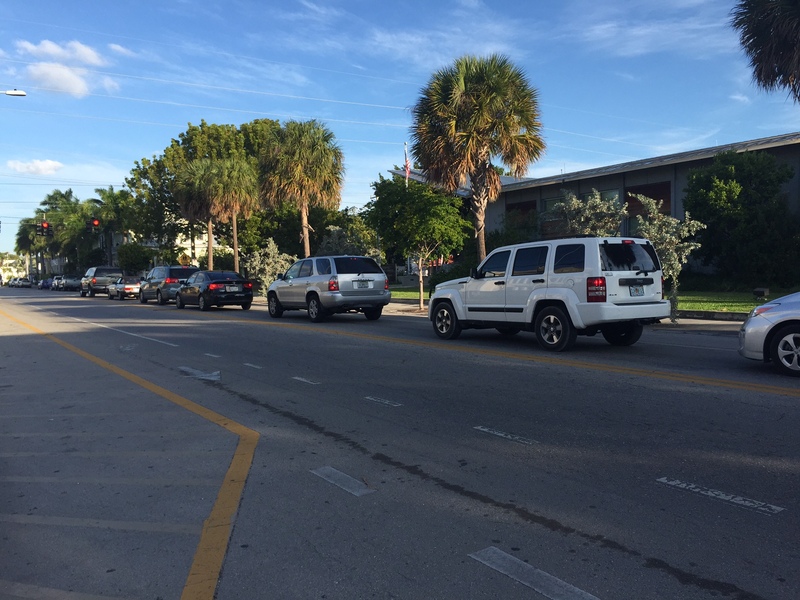 The inverse of sane, “of an undertaking or manner that is reasonable; sensible.” This makes the spirit of Key West not exactly reasonable. It also makes it – the part that’s not drunk or high — special. Insanity. The tourists who flock in droves here, year-round now (there used to be a lull in the summer and in November to Christmas, but no more), pick up the hint of it and easily settle into the eddies that life at the edge brings. They turn it into a reason to drink, to party, 24-7 – except for the cruise ship visitors who use it as a reason to cram as much US paradise activities into their 5-hour shore call as only an American can. Except they are missing the true heart of the island that lives at the edge of the continental US. Embroiled in beer along Duval Street, liquor at Sunset Pier or revelry at Mallory Square (where hundreds gather each evening to watch the sun set into the water), they miss that they are in one of the few towns where you can still leave your doors unlocked, rush hour means an extra five minute commute and chickens have the prime real estate. Maybe that’s what makes it paradise, more even that the sun, the water and the temp. 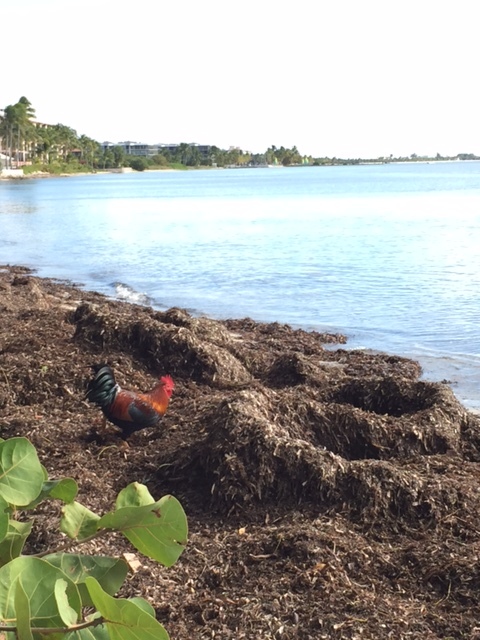 And about those chickens: What started out as a small flock providing eggs to a very good breakfast restaurant in Bahama Village (Blue Heaven, a definitive must) suddenly took root and multiplied, rapidly, in the early 2000s. No one seems to know why: Perhaps they just finally adapted to life on a hard-scrabble island with few worms but plenty of half-dead Sea creatures washed up in flotsam and seaweed – and garbage scraps. Now if you’ll excuse me, I’ve gotta go on a chicken egg hunt. I’m on a budget.